Change is vital to the life of a church. Pastors and church leaders continually seek new ways to improve their church's health, community, and outward compassion. They study the trends, attend seminars, and research new programs. But when it comes to actually implementing or moving toward a transition, many leaders hesitateuncertain how to initiate or shepherd the change. 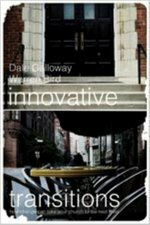 It's one thing to want to transitionit's another to know how.In Innovative Transitions, well-known pastor Dale Galloway and church researcher Warren Bird team up to give church leaders practical methods to move their churches from comfortable maintenance to genuine, vibrant mission. They share 15 inspiring stories of successful turnaround churches, each of which models a unique style of transition. From leadership development to a renewed vision for outreach, they offer insight and transferable principles for church leaders to use--regardless of church size or denomination. 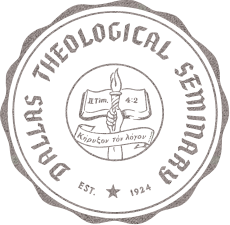 Their innovative ideas will help leaders successfully implement change as their church transitions from one generation to another.Filled with poignant scriptures, questions for discussion, and relevant examples, Innovative Transitions will sharpen your understanding of church growth and show you new opportunities to take Christ into the world. An upgrade to the ground-breaking book that has shown thousands of congregations how to overcome the destructive attitudes and systems that prevent them from focusing on their true mission: making disciples of Jesus Christ. In this upgraded edition, Bandy continues to explore the meaning of walking with Jesus in the 21st century. Drawing on the stories of exciting new congregations that have arisen within the last few years, he sharpens his portrayal of the thriving church system, demonstrating its essential concern for savvy awareness of the larger culture and fidelity to the core of the gospel. The international bestseller--now with a new preface by author John Kotter. Millions worldwide have read and embraced John Kotter's ideas on change management and leadership. From the ill-fated dot-com bubble to unprecedented M&A activity to scandal, greed, and ultimately, recession--we've learned that widespread and difficult change is no longer the exception. It's the rule. Now with a new preface, this refreshed edition of the global bestseller Leading Change is more relevant than ever. John Kotter's now-legendary eight-step process for managing change with positive results has become the foundation for leaders and organizations across the globe. By outlining the process every organization must go through to achieve its goals, and by identifying where and how even top performers derail during the change process, Kotter provides a practical resource for leaders and managers charged with making change initiatives work. Leading Change is widely recognized as his seminal work and is an important precursor to his newer ideas on acceleration published in Harvard Business Review. 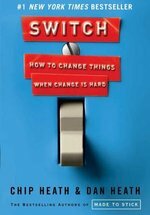 Needed more today than at any time in the past, this bestselling business book serves as both visionary guide and practical toolkit on how to approach the difficult yet crucial work of leading change in any type of organization. Reading this highly personal book is like spending a day with the world's foremost expert on business leadership. You're sure to walk away inspired--and armed with the tools you need to inspire others. Can renewal and reform groups rekindle spiritual vitality and fervor in today's religious institutions? The call to revive one's faith fills more pages of the Christian and Jewish scriptures than any other theme. Today, reform and renewal organizations and movements play a key role in most denominations, whether conservative, moderate, or liberal. 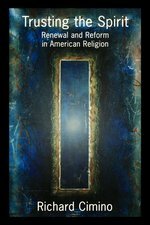 In this fascinating book, Richard Cimino provides you with an in-depth look at six vibrant reform and renewal movements that are revitalizing traditional faith communities from the inside out. 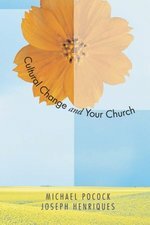 Cimino walks you through how all the components of renewal and reform--the organization, the larger denomination, the congregation, and the individual members--interact at both local and national levels, and answers the question of how effective these organizations and movements are within their traditions. Filled with interviews and case studies, Trusting the Spiriy concludes by outlining strategies for renewal and reform that can be put into practice in a wide range of religious contexts. With this much-needed handbook, the authors brilliantly combine their experience guiding dozens of churches through the change process with both the study of Christian disciplines and the sophisticated understanding of such important business thinkers as John Kotter on leading change and Peter Senge on learning organizations. 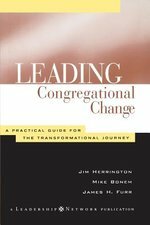 In this eminently readable book the authors have distilled their insights and practices into simple but powerful concepts for leading congregations, whether long established or recently formed, through profound change. Leaders using this guide will also be interested in the companion Leading Congregational Change Workbook, which offers assessment questions, planning worksheets, activities, and case examples for each stage of the process.